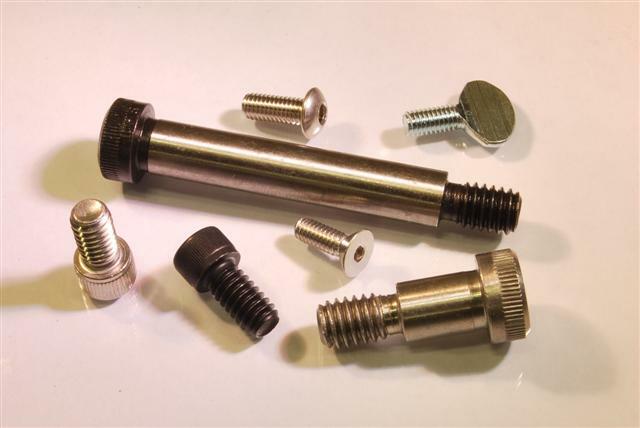 At JHP Fasteners, our selection includes fasteners for just about any application with a special attention to those which are used by precision sheet metal fabricators. In order to help meet the needs of all our customers in a variety of industries, we also provide two types of screws that are incredibly versatile and useful for all types of projects: socket screws and thumb screws. Whether you are working on a home improvement project or a multi-million dollar innovation, our catalog has something to offer you. You’ll find socket screws in everything from automotive components to electronic sub-assemblies. It is possible with socket head cap screws to achieve the same clamping force with fewer screws than would be used with traditional hex cap screws. That efficiency also translates to less drilling, tapping, overall weight and less labor. Thumb screws are designed to be installed and tightened by hand and are easy to remove without the use of tools. For that reason, thumb screws are often used when quick removal is necessary, such as safety covers or access panels. Thumb screws are also an ideal choice for assemblies that need to be removed and re-installed quickly and efficiently. JHP Fasteners offers thumb screws in sizes ranging from 6-32 to 1/2-13. We have been providing customers with top-quality fasteners since 1970. For more information about our general fastener products or to request a quote contact JHP Fasteners today.